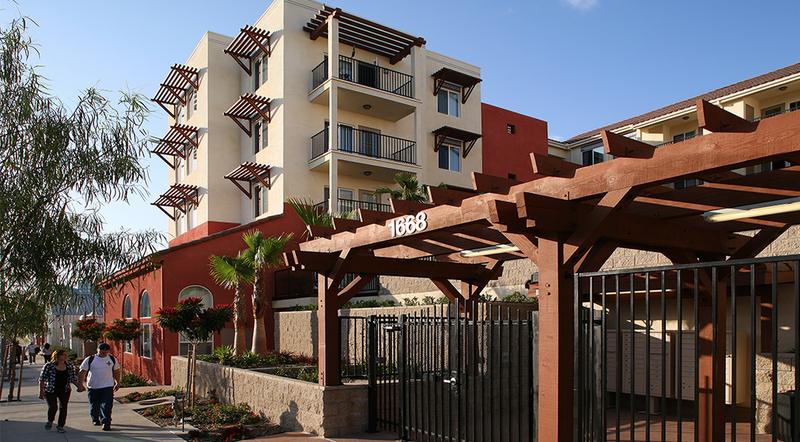 Los Vientos replaces underu lized industrial parcels and helps to revitalize Barrio Logan, which is located next to downtown near San Diego’s new baseball stadium, and ur‐ ban developments. The contemporary Spanish development is located on two parcels of 1.04 acres and consists of two buildings with 89 affordable family units of 2‐4 bedrooms. Construc on is four levels of Type V wood construc on over Type I concrete un‐ derground parking. Design is Title 24 +15% energy efficiency. 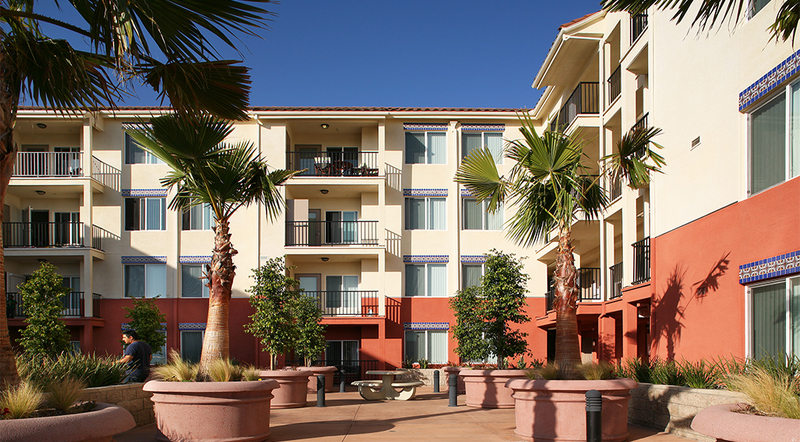 Los Vientos is conveniently located near downtown employ‐ ment opportuni es, the 12th Street trolley sta on, Chicano Park, Perkins Elementary School and grocery markets. 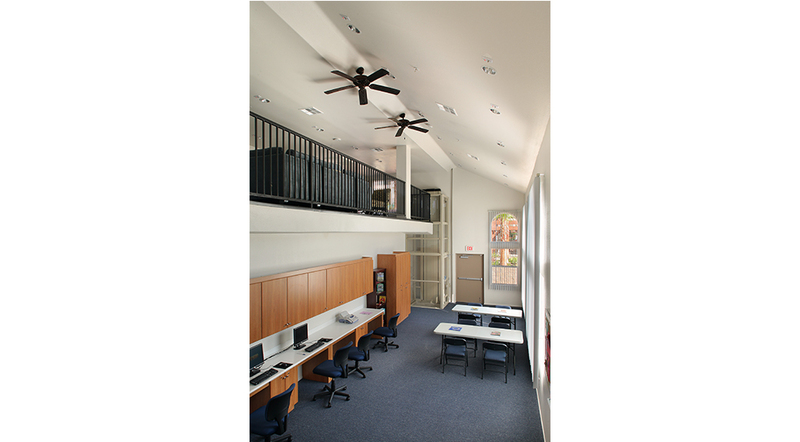 Amen‐ i es include a children’s play area in the courtyard, outdoor barbeque area, and 1,400‐s.f. community clubhouse with a computer lab. 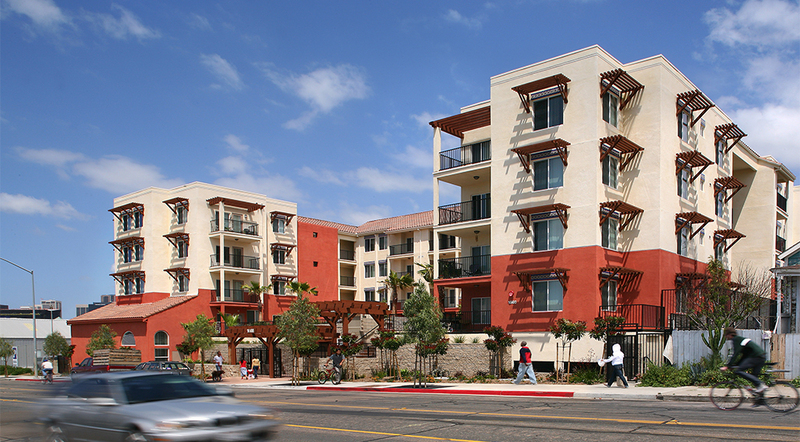 The project is financed with an alloca on of 9% Low‐Income Housing Tax Credits in 2007, and City of San Diego RDA funds. It was won the Best Re‐use of Land Award from MFE.